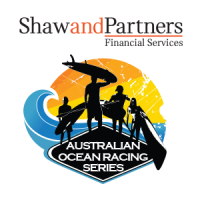 An event of the Shaw and Partners Australian Ocean Racing Series. 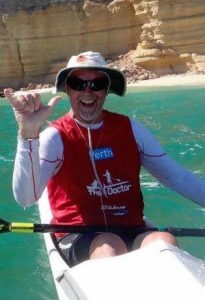 Charles Stewart paddling at Ningaloo Reef during one of the Oceanpaddlers Expeditions. EVENT TRACKING – We will be trialling a new event tracking app, SafeTrx for the event. The app will allow the event organiser and spectators to track competitors live GPS location and position during the event via the web. The competitor will carry their smartphone in a waterproof bag using the SafeTrx App. Our plan is to have everyone racing using the app. Please download SafeTrx and become familiar with how it works. For more information click here. The event will take place at Fishermans Beach, Collaroy. 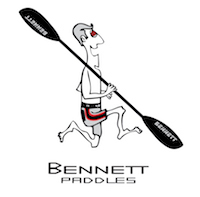 There will be both a Long Course 16km and SUP/ Paddleboard/ Short Course 8km. The proposed courses are outlined below. The final course will be dependent on wind and weather conditions on the day. We will advise this prior to the event. Please check this website and Facebook for updates on the morning of the event. The AORS Categories will be used for the Long Course and AORS points will be awarded. The AORS SUP and Prone Paddleboard categories will be used and AORS points will be awarded. Category note: For prizes and awards there must be at least 5 entries in the category. Where there are less than 5 entries then those competitors will be moved to the next most relevant category. The registration, briefing, start and finish of the race will all take place at Fishermans Beach, Long Reef. Please check final event information for final times. Presentations will take place after the event at Fishermans Beach. Prone paddleboard competitors only are permitted to wear and approved Level 100 Inflatable bum bag lifejackets. Oceanpaddler will have these available to purchase or hire. Please contact us prior. Prone paddleboard competitors must wear a hi-vis shirt. A list of approved lifejackets can be found here. Late Entries fees incur an additional $20 for on the day entry. Entry cancellations can be made up to two weeks before the event date when a refund (less 20% administration fee) will be made. Refunds will not be given after this date. 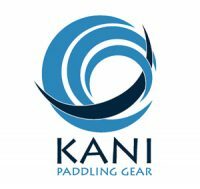 Please send requests for refunds in writing to contact@oceanpaddler.com. If the event has to be cancelled due to weather conditions or natural disasters or any other reason so deemed by the organisers, the event will be rescheduled where possible and no refunds will be issued.